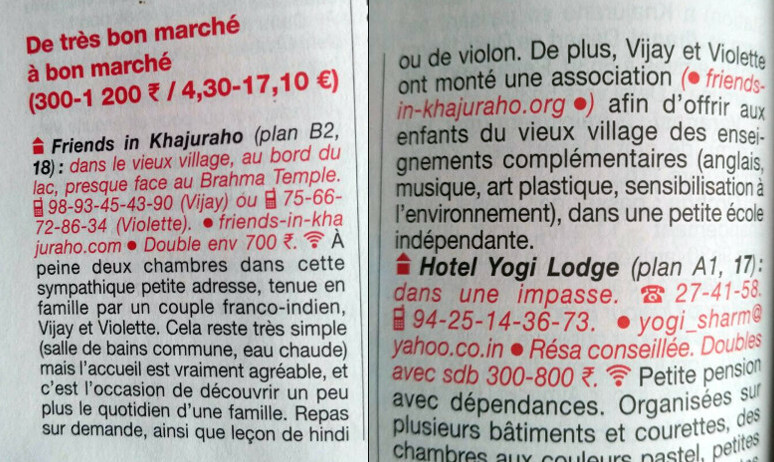 Our fifth touristic season is starting well at Friends in Khajuraho, and we have been having some really fun people round – a lot of French speakers, thanks to Guide du Routard and Petit Futé! Every year we paint and clean the entire house before Diwali, as it is traditional for most people in India. It is a lot of hard work, but there is so much dust around here that after a while things get really grubby underneath beds and at the back of forgotten drawers! It is a great feeling to start each season afresh and to renew energies! And so here is a picture of our new facade, beautiful and clean! Our signs have been painted again as well. This entry was posted in Homestay news by Vio. Bookmark the permalink.